Taxes and Divorce: So How Does It Work? Many couples going through divorce spend considerable time deciding whether to file married jointly or married filing separately. Disadvantages of Separate Returns: Married couples who file jointly are taxed as viagra each spouse had exactly the same taxable income. Accordingly, substantial tax savings are realized by filing jointly. Different Tax Rates on Separate Returns, Earnings Taxed Separately: If you are separated from your spouse but still legally married by the end of 2006, you must file separately unless you and your spouse agree to file a joint return or a court has entered a judgment of legal separation. A later obtained judgment or marital dissolution does not relate back to an earlier year in which you and your spouse were married. You and your spouse will each be taxed on your respective earnings separately. But you will each have to allocate income, treating income earned before the date of separation as community property (taxable half to each) and income earned after the separation date as the earning spouse’s separate property. If all income is community income so that the income and deductions are divided equally among you and your spouse, the total tax on separate and joint returns will be the same. Restrictions on Itemized Deductions and Child Care Credit: If you and your spouse file separate returns, you both must agree to itemize deductions. If not, then neither can. IRS Section 63(e)(1). No child credit may be claimed on a spouse’s separate return unless the other spouse was absent from the household during the last six months of the year. IRC Section 21(e)(4). Allocation of Tax Liability: Separated spouses who are willing to file jointly should reach a clear agreement as to how the tax liability will be apportioned between them. A logical approach is to prorate the tax liability by using a ratio based on the parties’ separate incomes. In the alternative, spouses may choose to allocate liability based on what each would have paid if separate returns were filed. Potential Joint Liability Relief: A spouse wrongfully exposed to joint liability for deficiencies, interest and penalties may have recourse under an indemnification agreement or under various code provisions. 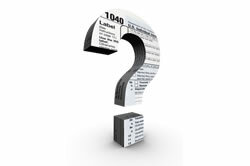 For example: (1) ‘Innocent Spouse’ relief from liability for tax deficiencies attributable to erroneous items of the other spouse (IRC Section 6015(b)); ‘Separate liability’ relief from liability for tax deficiencies (IRC Section 6015(c)); and Equitable relief from liability for tax deficiencies and underpayments (IRC Section 6015(f)).